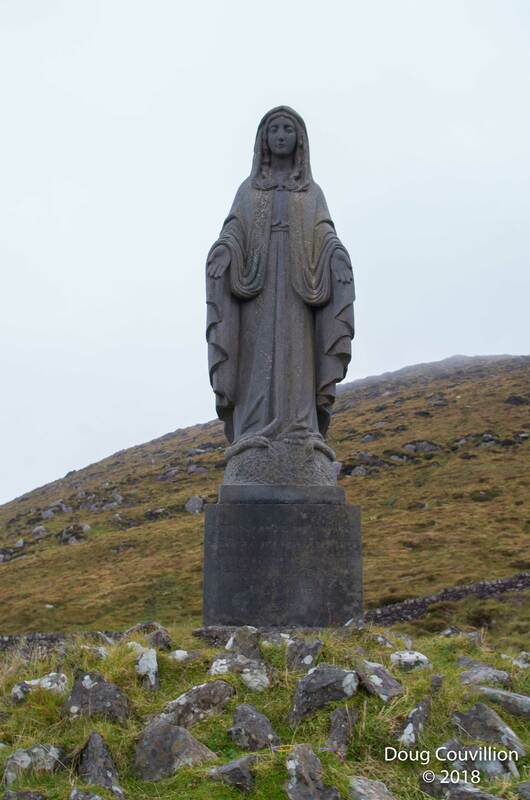 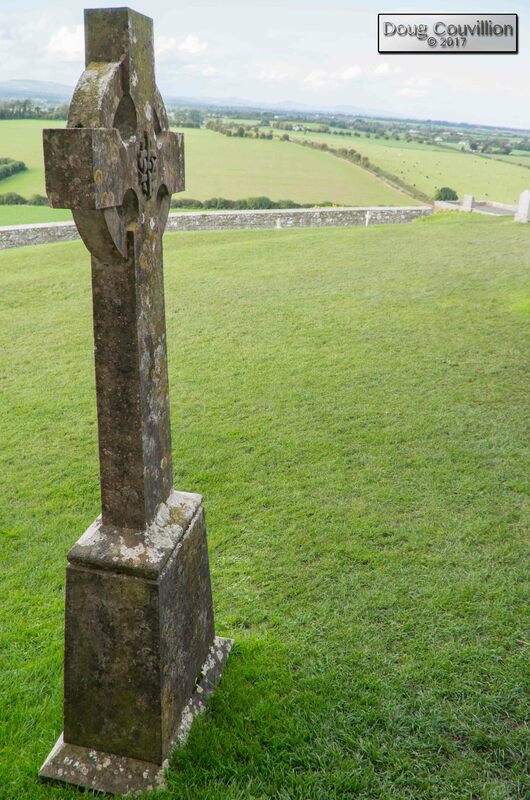 This statue stands near the top of the peak at Beenarourke, on the Ring Road in County Kerry, Ireland. 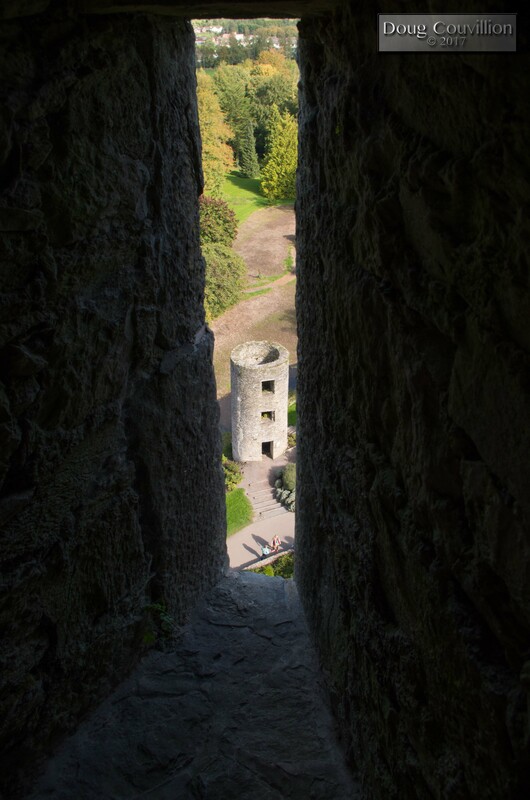 There are all kinds of views climbing down from the top of Blarney Castle, near Cork, Ireland. 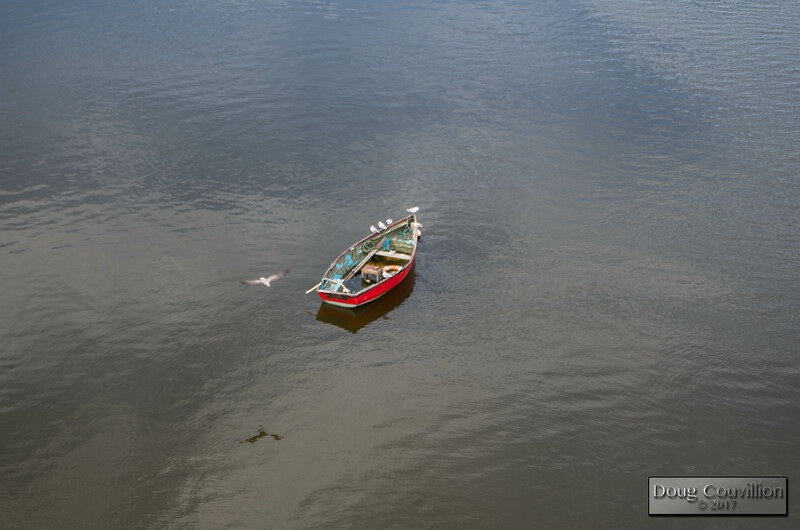 A small, red boat is moored in the River Lee, Cork, Ireland.